Here at Quatro Destinations, we love a holiday which revolves around skiing. Maybe it’s because we are located in the UK and the “you want what you can’t have” is starting to run off on us. But regardless, Europe is filled with many ski resorts, most of which being in Austria, France and Switzerland among others. In this article the Quatro team are looking to breakdown which ski resort destinations we consider to be the best in the whole of Europe! With its trails being a massive 200 metres, it’s easy to see what St. Anton pops into this list straight away, although what possible makes St. Anton the place it is, is it’s excellent Après ski celebrations which occurs daily in and around the resort. Holding events such as the Stanton Ski Open, combining the sport of skiing with music, drink and good times is one of the methods to the resorts success. 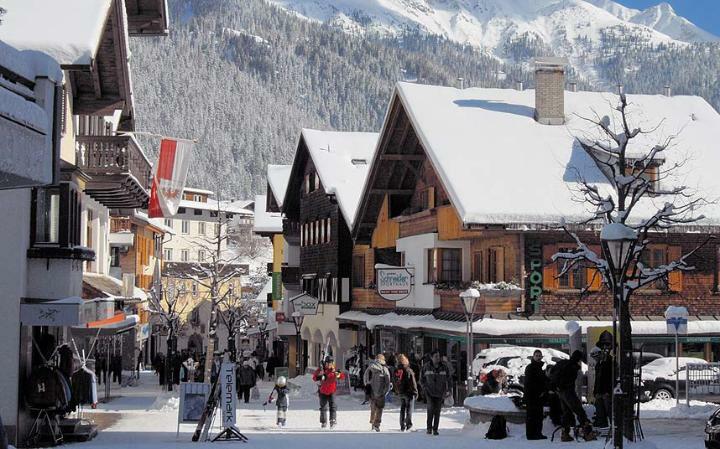 St. Anton is the perfect option for a group of friends looking to get as many social activities squeezed in around their ski trip as possible. Kitzbuhel is another of Austria’s premier ski resorts, although where St. Anton appeals mostly for a younger generation who are seeking thrills and nightlife, Kitzbuhel is more designed for serious skiers who are looking to take advantage of the huge slopes and over 60 lifts for making sure you are constantly on the move. Kitzbuhel is also the perfect place for spectators to be seriously entertained, with the yearly Hahnenkamm downhill race on the World Cup circuit, referred to as the “scariest” downhill race in Europe. Although the town of Kitzbuhel is beautiful, it’s definitely more suited for the older generation. Although, Livigno is actually one of the most difficult destinations to get yourself to in Europe, due to it being 3 hours from the nearest city, we think it’s still worth the journey. The reason why it makes the list is mainly due to its price, it’s very cheap and that’s why many people who are on a tighter budget find themselves travelling to Italy to take on the slopes here. And with a charming little village, great après ski options and other activities on hand when you want a little break from the slopes. This is a perfect first time destination. Croatia is known all over Europe for it beautiful islands and beaches, its well preserved medieval villages and towns, natural parks, lakes and waterfalls. Are you planning your next holidays in this natural and urban getaway? Follow our guide to choose what to see and how to organise your trip to Croatia!